Americans will eat a staggering number of chicken wings on Super Bowl Sunday. Are you ready for some ... chicken wings?! Super Bowl fans are expected to consume 1.33 billion wings on Sunday, according to the National Chicken Council’s annual report. To put that staggering number into perspective: According to the NCC, the weight of those wings (166.25 million pounds) is more than 300 times the combined weight of all 32 NFL teams. Wow! And Americans are eating more wings than ever. This year’s projection is up 6.5 percent from 2015’s. 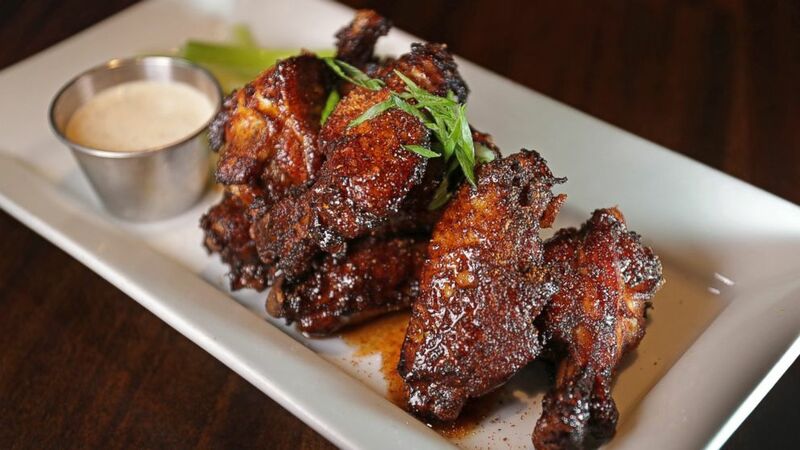 (Barry Chin/The Boston Globe via Getty Images) "Dirty" Chicken Wings pictured at Tempo Restaurant in Waltham, MA. Wings may have become a staple of every Super Bowl party spread, but there are so many other delicious choices to munch on during the game. Cheesy, greasy pizza will tempt any Super Bowl partygoer. Domino’s says the Super Bowl is the company’s third-busiest delivery day of the year. (Halloween is No. 1, followed by New Year’s Eve.) The national pizza chain sells more than 11 million slices on Super Bowl Sunday – nearly a 350 percent jump from a typical Sunday. 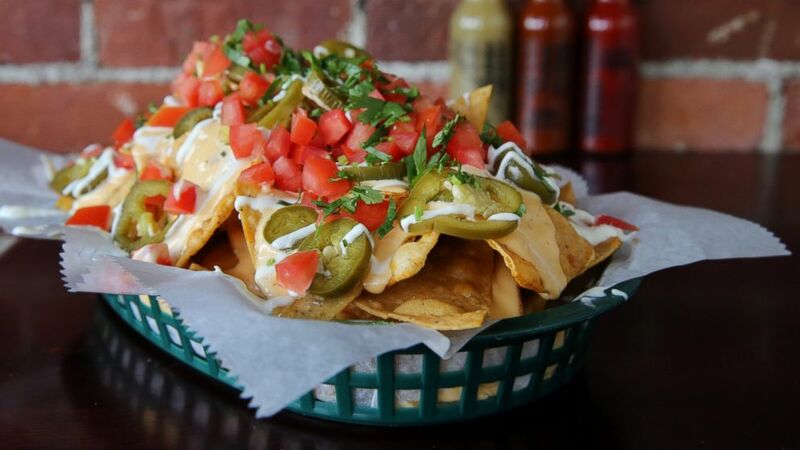 (Boston Globe via Getty Images) Breakfast nachos at Casa Verde in the Jamaica Plain neighborhood in Boston. Finally, guacamole, the quintessential dip for any die-hard Super Bowl viewer. The Hass Avocado Board estimates that 104.9 million pounds of avocados will be devoured on Sunday. (Unfortunately there is no similar info for tomatoes, garlic, onions and cilantro.) Smother your guacamole on nachos or eat it with a spoon. Nothing says game day like guacamole. And like on Thanksgiving, calories eaten on Super Bowl Sunday don’t count. If you’re feeling really guilty, reach for that cold-pressed green juice on Monday. The New England Patriots take on the Atlanta Falcons in Super Bowl LI beginning at 6:30 p.m. ET. Happy eating!